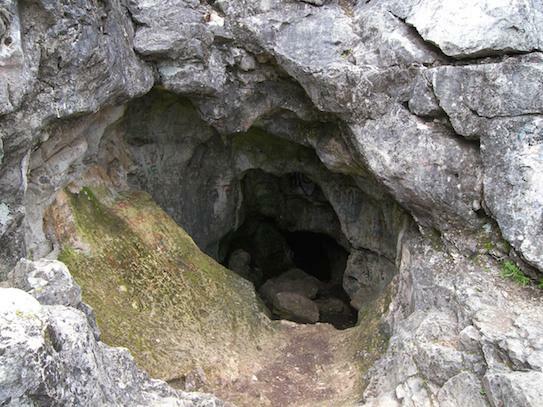 Special Containment Procedures: The entrance to SCP-2594 is to be disguised as an abandoned mine and locked, with signs warning of potential cave-ins to deter civilians. Agents posted at Observation Site-2594 are to detain and interrogate anyone attempting to get access, before amnesticising as necessary. Description: SCP-2594 is a small, 4m x 5m waiting room accessed through a door located near an unnamed cave on the Isle of Skye, Scotland. Aside from the entrance to SCP-2594, there is one further door present. This door is locked, however, it can be unlocked through normal means. The door opens directly onto a blank featureless wall, hypothesised to be the "end" of SCP-2594. Above the door is an LED number display reading "023". A standard ticket dispenser identical to those found in many waiting rooms is present. Tickets start at 024 and progress to 999 before running out. Surfaces resembling SCP-2594's secondary door can additionally be found behind the walls, roof, and floor of SCP-2594. All attempts to bypass this material have been met with failure. The interior contents of SCP-2594 can be damaged or removed. Once all subjects have vacated SCP-2594, any changes will have been reverted upon re-entry. It is currently theorized that SCP-2594 exists in extradimensional space. There is no magnetic field present within SCP-2594. Satellite receiver systems fail to receive any signals, as do wireless mobile devices. Electronic devices will fail to connect to the internet or other networks, hard discs and other objects that require magnetism to function will cease to work. Subject entering SCP-2594 with the belief they are waiting for something are subjected to an anomalous effect. Unless they are induced not to, these individuals will stay within SCP-2594 and remain there for an indefinite period of time. However, the subject is able to leave at any time and may do so if requested or forced. When waiting in SCP-2594, the subject does not have a biological or psychological need to eat, drink, sleep, or excrete. The subject is able to do so but in most cases will not unless prompted. Sapient individuals not under the impression they are waiting for something are not affected by SCP-2594. History: SCP-2594 was recovered in 1968, after several spelunkers discovered its presence and reported it to the Scottish authorities. At the time of its discovery, the counter within it was not noted to be activated; it has been noted as active in all subsequent observations. The following experiments were carried out to test SCP-2594's anomalous capabilities. Note: Cave area temporarily altered to appear as a Foundation facility. All D-Class were habituated within these temporary facilities for approximately two months prior to the experiment in order to prevent suspicion about the test parameters. Subject: D-01799, 35 year old Hispanic female. Experiment: D-01799 was instructed that dental work was being performed and that they would be waiting to see a Foundation doctor. Results: Subject appeared to become disinterested in their surroundings after approx. fifteen minutes. Ticket number was 036. After 6 hours, D-01799 was retrieved. Expressed skepticism when told of the time they had spent within SCP-2594. Subject: D-07351, 24 year old Caucasian female. Experiment: D-07351 was selected for the initial test of SCP-2594's properties. She was informed she was due a routine medical examination, and told to wait within SCP-2594 to be called. Results: D-07351 remained within SCP-2594 for one week, without needing sleep or sustenance. D-07351 reported no change to the baseline description of SCP-2594 and had a ticket numbered 127. D-07351 expressed irritation at the ticking produced by the clock present within SCP-2594. Post-test analysis showed some signs of trauma similar to that caused by prolonged solitary confinement. Subject: D-08991, 49 year old Hispanic male. Experiment: D-08991 was informed he would be undergoing a job interview for promotion due to excellence under the Foundation's service. Results: D-08991 remained within SCP-2594 for two weeks. Upon retrieval and analysis, it was found that D-08991 displayed symptoms similar to D-07351. However, they were more pronounced with a noticeable increase in paranoid behaviors. D-08991 complained about the ticking noise produced by the clock, and expressed disappointment over the lack of a promotion. The ticket number was 298. Addenedum 2594-02: During a routine archival review in ██/██/2004, inconsistency was discovered with Eurasian D-Class secure archives. After investigation, it was found that a test subject had been exposed to SCP-2594 for over thirty years consecutively. D-08991 was found alive within SCP-2594. After being removed from SCP-2594, D-08991 was debriefed by Researcher Chambers. The case has been forwarded to the Ethics Committee. SCP-2594's appearance had reverted to its basic state when D-08991 was recovered. Researcher Chambers: Welcome back, D-08991. My name is Researcher Chambers, I'm going to be asking you a few questions about your waiting and testing period within SCP-2594. D-08991: (pauses) I want to, you can call me, George, please. Chambers: Alright, George. Let's see— okay. How are you feeling? D-08991: Well, tired? (D-08991 closes his eyes.) But I know it all through and through. Like you all wanted. Chambers: Are you aware of the extensive time you've spent in the cave? D-08991 drums his hands on the table, and hums, for approximately five minutes. During this time he does not acknowledge Chambers. D-08991: When there's a storm, you put the shutters up and if the power goes, you don't know until it's over. That's the best way I can put it. Now I know and if I knew again I can't… but even after all that I don't know what keeps me there. Tick. Tock. I tried marking time taking tickets but that didn't take. Chambers: What was inside? Were you reading the magazines, or did any music play, anything like that? Chambers: We don't have to talk about it anymore. It must be a lot… I'm sorry. D-08991: Why did I stay? Chambers: I don't know. The door was unlocked. Closing Statement: D-08991 became unresponsive to Foundation personnel after the conclusion of the interview; the Ethics Committee has detained him indefinitely as part of their audit into the incident. 1. During debrief, test subjects have not been able to identify the music. 2. Referring to the November 9th 1970 edition of Time magazine, focusing on the recent United States Congress election.